You can help youth transform their communities through food, farming, and the land! 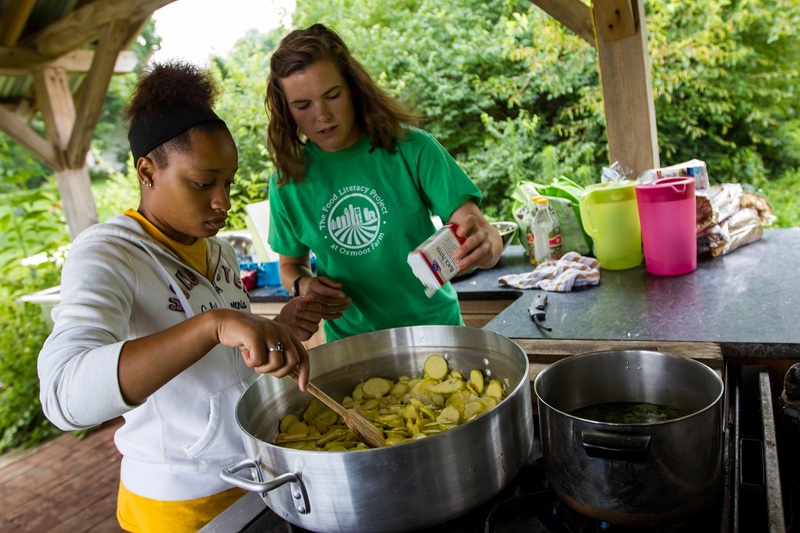 Our Field-to-Fork Program on the farm provides transformative experiences for nearly 3000 students each year, which means we use a lot of resources! To keep our Learning Garden, Outdoor Kitchen, and program area clean and safe, there are items we are needing to be replenished throughout the program season, including gently used or new garden tools, kitchen items, and cleaning supplies. Can you help by donating any of the following or gently-used items? If you would like to donate, please email info@foodliteracyproject.org and we can set up a delivery to the farm or send a staff member to pick up the items. The Food Literacy Project is a 501(c)3 nonprofit education organization that uses an urban farm as an outdoor classroom to engage young people and families in hands-on learning. Your gifts will help bring the field-to-fork experience to life for local youth! Sign up today to be the first to know about special events, volunteer opportunities, and more!